Home / Politics / DPP NOORDIN HAJI tells corrupt Kasarani Police officers to drop the case against SOPHIA NJERI or go to jail! She is innocent! DPP NOORDIN HAJI tells corrupt Kasarani Police officers to drop the case against SOPHIA NJERI or go to jail! She is innocent! 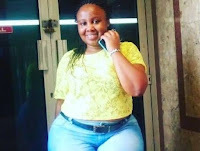 Friday February 8, 2019 - The Director of Public Prosecutions (DPP), Noordin Haji, has told Kasarani Police Station to release activist Sophia Njeri who was to be arraigned in court on Friday and charged with Obstruction in Execution of Duty. Kasarani Police officers took Njeri to Makadara Law Courts but the DPP said he must review her file for 7 days to recommend whether she will be arraigned in court or not. Sophia Njeri was arrested on Tuesday morning moments after recording police officers in a push-and-pull situation with a female passenger . Her lawyer John Lewis Onkedi of Onkendi Ombiro & Co. Advocates, also said the DPP has given the police seven days to review the file and have Njeri released or sent to prison. Her plight led to the trending hashtag topic #ReleaseNjeri on Twitter with thousands of Kenyans online urging the National Police Service to intervene and secure her release. She was released on a police cash bail of Sh 10,000. The public, while condemning the officers for intimidating citizens, further agitated for their arrest and subsequent prosecution.